Cookie Dough Creamery is a self-serve ice cream sundae bar that features not only 12 different kinds of ice cream, but also an assortment of homemade edible cookie dough. And don’t even get me started on the topping choices, because there are too many to count! 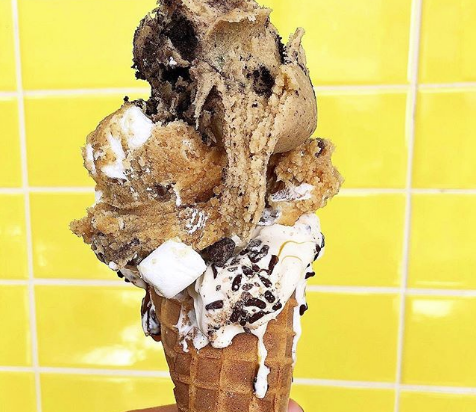 You go in, pay for the cup size you want, and then you fill it up with as much cookie dough as your heart (and belly) desires, then you head over to the self serve ice cream bar, and finish your creation with an abundant amount of toppings.